While two cities affected by last month’s flooding schedule informational sessions for residents, the Federal Emergency Management Agency prepares to open three disaster recovery centers throughout Hidalgo County. The city of Pharr scheduled a public forum for 5:30 p.m. Tuesday at the Pharr Events Center, located at 3000 N. Cage Blvd. Pharr is the third Hidalgo County city to hold a forum following major flooding brought on by thunderstorms June 20 and 21. Representatives from FEMA and the Small Business Administration will speak and answer questions from the public. In Weslaco, city administration and commissioners held a heavily attended public forum last week at city hall, where they heard from dozens of residents who directed comments toward drainage infrastructure. McAllen officials also held their own forum earlier this month, similar to the one in Weslaco. The Weslaco City Commission expects to consider and discuss several flood-related items at a regularly scheduled meeting, which is also set for 5:30 p.m. Tuesday. Weslaco commissioners will consider both short- and long-term solutions to drainage infrastructure, including the possibility of holding a bond election to pay for improvements. Commissioners may also allow Hidalgo County Precinct 1 offices, which were damaged by flooding, to operate out of city hall. Commissioners will likely approve a $51,593.72 payment to Republic Services, which removed debris following destruction caused by flooding. 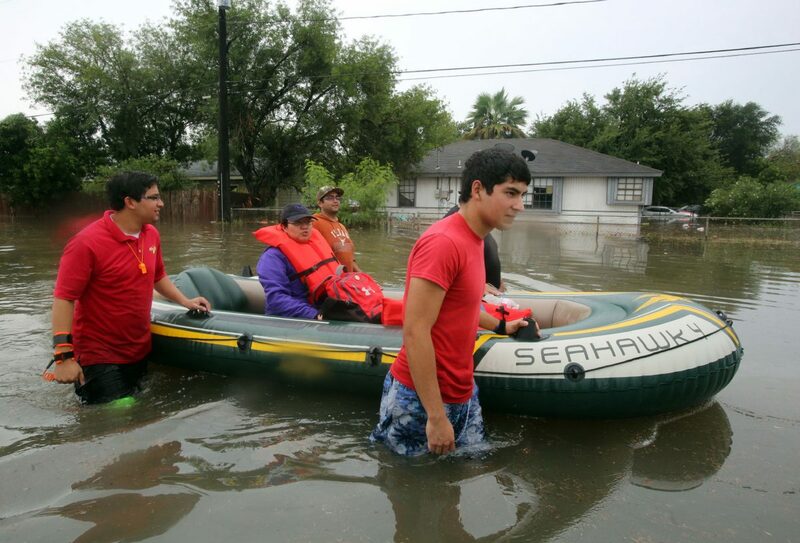 Prior to the Weslaco City Commission meeting, city staff and commissioners will board a van, which will be driven through a series of neighborhoods impacted by flooding as well as tour infrastructure facilitating the movement of floodwaters to the International Boundary Water Commission floodway. “It gives us a chance to get out there and see what’s being done and what’s not being done,” said Weslaco City Manager Mike Perez, adding that the tour will assist both staff and commissioners in assessing potential improvements. In addition to preparing for both the tour and meeting, Weslaco officials anticipate the opening of a FEMA disaster recovery center at 1 p.m. Tuesday at the Weslaco Business, Visitor and Event Center at 275 South Kansas Ave.
FEMA will also operate disaster centers, intended to facilitate the application process, in Mission and McAllen, which will open Thursday and Saturday, respectively. FEMA representatives will be staffing the three recovery centers Monday through Friday from 7 a.m. until 7 p.m. Residents may also apply for assistance by calling FEMA at (800) 621-3362 or registering at www.disasterassistance.gov.